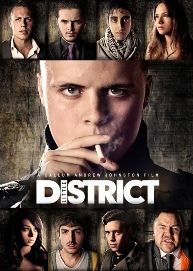 Little District is based on the series RH11. It’s all about choices. Sometimes you choose a path that leads down a positive road. Other times you find yourself on a spiraling out of control path that can only lead you to either jail, or the cemetery.Will Danny Jones’s choices lead him down the right path, or the wrong one? Only time will tell, and not even those close to him can stop him. The RH11 estate wait in anticipation on the sentence for the two men who kidnapped and murdered Tommy King. John Vincent and Derick Turner find themselves looking at a 15 year stretch in prison for the kidnap and murder of Tommy. Jess’s life begins to spiral out of control. With no support around her, she begins to to blame herself for the death of Tommy. Danny Jones moved abroad when he found out about Tommy, but is forced to move back to the estate to try and get Jess back on the right track.